In December 2016 and January 2017, four permanent Safety Corridors were implemented in Arizona – two at urban locations in Phoenix and two at rural locations. This safety-related enforcement and education program is intended to reduce crashes, injuries and deaths on four freeway corridors using increased traffic enforcement, special signs, and targeted public information outreach. The Safety Corridor program is a joint effort by the Arizona Department of Public Safety (AZDPS), the Arizona Department of Transportation (ADOT), and the Governor’s Office of Highway Safety (GOHS). Safety Corridors are special segments of highway that have been identified by data analysts to be high collision zones, especially for severe injury and fatal collisions. The primary cause of these crashes is driver behavior (speeding, aggressive driving, impairment and distracted driving). The intent of the corridors, the signs and the increased enforcement by Arizona State Troopers is to save lives by reducing traffic speed and improving driver behavior. The corridors are identified by special signs telling drivers when they enter and leave the corridors. If you drive through a Safety Corridor and obey the speed limits and all other driving laws, you have nothing to worry about and can expect to encounter better driver behavior. For those who speed, drive distracted or aggressively, you can expect to be pulled over by an Arizona State Trooper who will issue a citation with an accompanying fine. Troopers will be employing a zero tolerance approach towards motorist who commit hazardous collision causing violations within the Safety Corridors. 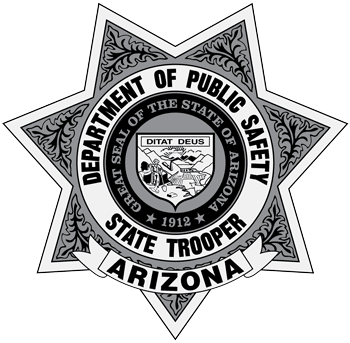 Arizona State Troopers will still be patrolling highways throughout the State as they currently do, but the Safety Corridors will feature a larger concentration of Troopers thanks in part to grant funding from GOHS and ADOT. It is possible that more Safety Corridors will be added in the future if the current pilot program in Arizona proves successful. At this time, the current Safety Corridors are at these locations: I-10 from the I-17 “Stack” to SR 51 “Mini Stack” (milepost 143-147); I-10 from Loop 202 Santan to SR 387 (milepost 162-185); US60 from Loop 101 Price to Loop 202 (milepost 177-190); and along I-40 from US 93 to US 93 (milepost 49-72).